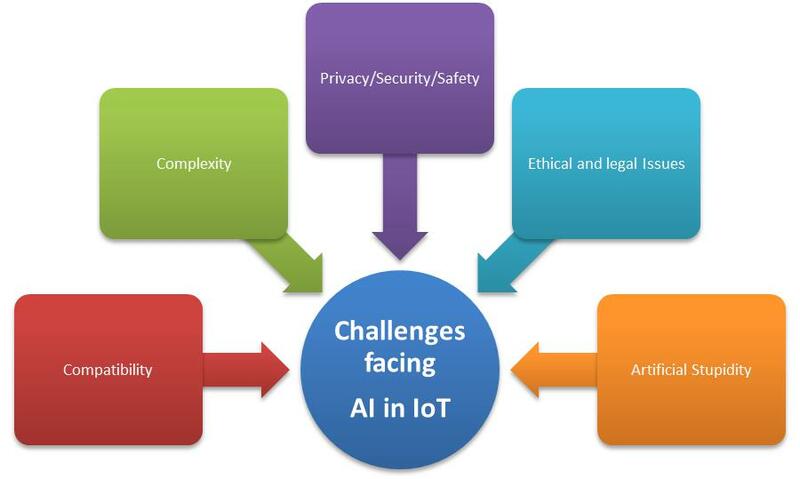 With the challenges outlined, this blog post highlights the six stages of an IoT workflow where AI can help. The Internet of Things (IoT) is covering the gamut of industries: healthcare, aviation, automotive industry, predictive maintenance, and many more. Most enterprises seem to be able to think of something uniquely valuable to them, as it looks like the IoT will soon be adopted by a majority of companies. Gartner reported in 2016, for example, that 43% of organizations surveyed would have an IoT deployment by the end of the year, with another 21% planning to deploy IoT this year and beyond. The numbers rise to 60% and 87%, respectively, in the healthcare business, according to another source. Projections say IoT will represent several hundreds of billions of dollars per year soon. However, such projections vary, as Ahmed referenced to the Gartner forecast of 20.8 billion connected things in use by 2020, while other forecasts put it as 50 billion and beyond. Indeed, data volumes are growing at a scary rate. The Internet handled more than a zettabyte (one million petabytes) of data this year, and is growing at a rate exceeding 20% per year. Why coupling IoT and AI? Overall statistics aside, individual enterprises have their own stories about data growth, and how they intend to handle it. Surely, this is what cloud computing in all its forms is all about. But simply processing it, transmitting it, and storing it is not enough. Data is not simply water or electricity. It’s a core asset of any company. Well, the third wave of artificial intelligence (AI) upon us. A survey by Pega investigated what organizations do think about AI. The capabilities that seem attractive include speech recognition, replication of human interaction, problem solving, etc. The capabilities to actively developing within AI mentioned were game playing, running surveillance, automating manufacturing, etc. What’s the urgency? We’ve been hearing about the IoT for several years now, with focuses on making sense (if possible) of the protocols involved, the security of data, and how to handle it in its many varieties, velocities, and volumes. 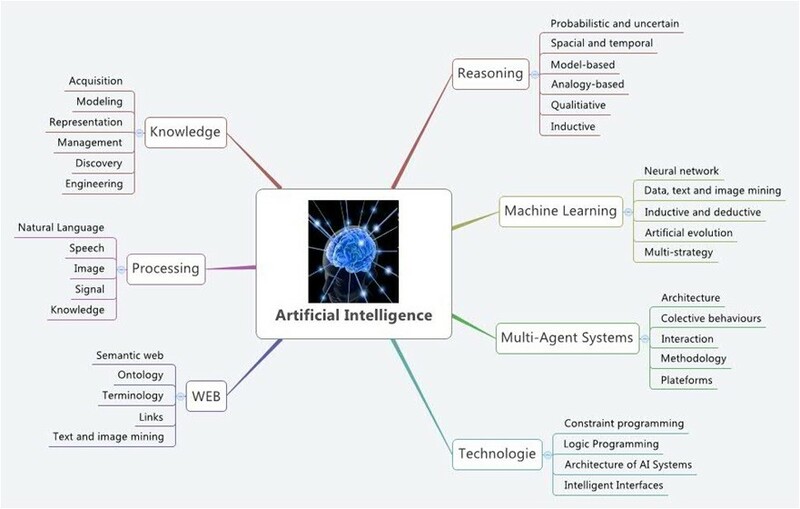 Why should we now pay such close attention to AI? Ahmed’s point is that enterprises will be, figuratively speaking, just wading in a bunch of water, if they don’t apply AI technologies to their newly created IoT deployments. Separately, I learned that not only data, but the networks themselves, should be imbued with AI. Data preparation: Defining pools of data to create data lakes and and clean them to identify dark data. Data discovery: Finding useful data in the defined pools of data. 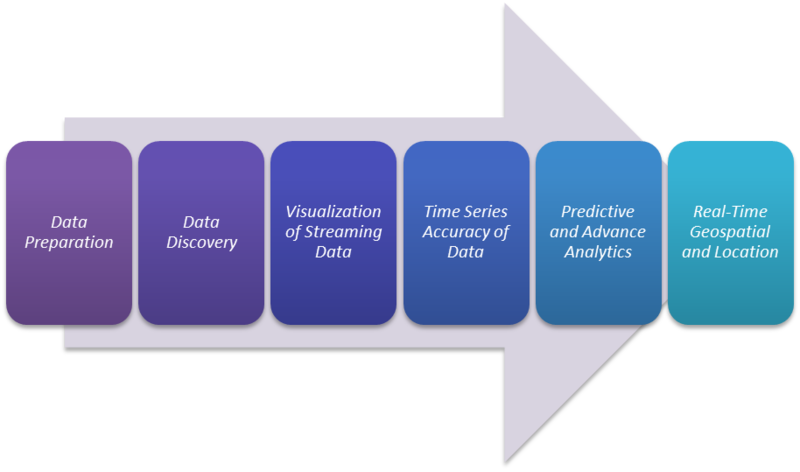 Predictive and advanced analytics: a very important step where decisions can be made based on data collected, discovered, and analyzed. Real-time geospatial and location services (logistical data): Maintaining the flow of data smooth and under control. Compatibility: IoT is a collection of many parts and systems fundamentally different in time and space. Complexity: With multiple moving parts and non–stop stream of data, IoT-based solutions are quite sophisticated. Privacy/security/safety (PSS): This compination is always an issue with every new technology or concept, how far AI can help in these areas? The privacy and security of data as well as maintaining safe access to trusted sources is very important. Blockchain can come into play here, but not in the absence of an upfront commitment to the three related issues within PSS. Artificial stupidity: Back to the very simple concept of Garbage in, garbage out (GIGO), AI still needs ‘training’ to understand human reactions/emotions so the decisions will make sense. One more thing to keep in mind is the amount of data flowing in. As the number of connected devices grows, the challenge to analyze it all is becoming more apparent. And here emerges the need to seek for “better, faster, stronger” AI means to sort and analyze as data is only valuable when you know how to make it work for you. The real-life examples of intersecting IoT and artificial intelligence are already numerous. For instance, Honda adopted AI to the to analyze and optimize Formula One (F1) racing engines. Data is gathered across 160+ sensors on a single F1 car over 270 data points—such as engine pressure, temperature, and velocity. With these real-time data, both drivers and pit engineers can make adjustments during a race. Another example is Boeing improving its assembly lines in addition to analyzing aircraft data collected during a flight. The manufacturer holds complete provenance details of each component part of an aircraft life cycle and optimizes the supply chain. Other examples are numerous. AI may be infused into IoT with deep learning tools, such as Caffe, Deeplearning4j, TensorFlow, Theano, or Torch. (Read our comparison of the five.) For instance, TensorFlow—open-sourced by Google in 2015—is used across industries to improve manufacturing (the Industrial Internet of Things), healthcare, customer service, etc. So, being the catalyst itself, the Internet of Things gives the opportunity to accumulate data, one of the most valuable assets we have today. 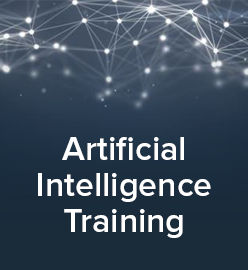 Paired with another catalyst—artificial intelligence—one is able to efficiently scramble through those arrays of unstructured data to see the light of business insights and informed decisions at the end of the tunnel. Want details? Check out the full webinar recording! 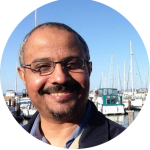 Ahmed Banafa has extensive experience in research, operations, and management, with focus on the IoT area. He is a reviewer and a technical contributor for the publication of several technical books. 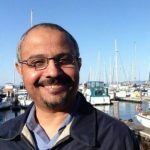 Ahmed served as a faculty advisor at several well-known universities and colleges—including the University of California, Berkeley, California State University-East Bay, San Jose State University, and the University of Massachusetts. He is the recipient of several awards, including Distinguished Tenured Staff Award of 2013, Instructor of the year for 2013, 2014, and Certificate of Honor for Instructor from the City and County of San Francisco. Ahmed was named as number one tech voice to follow by LinkedIn in 2016. This post was written by Roger Strukhoff and Sophie Turol.